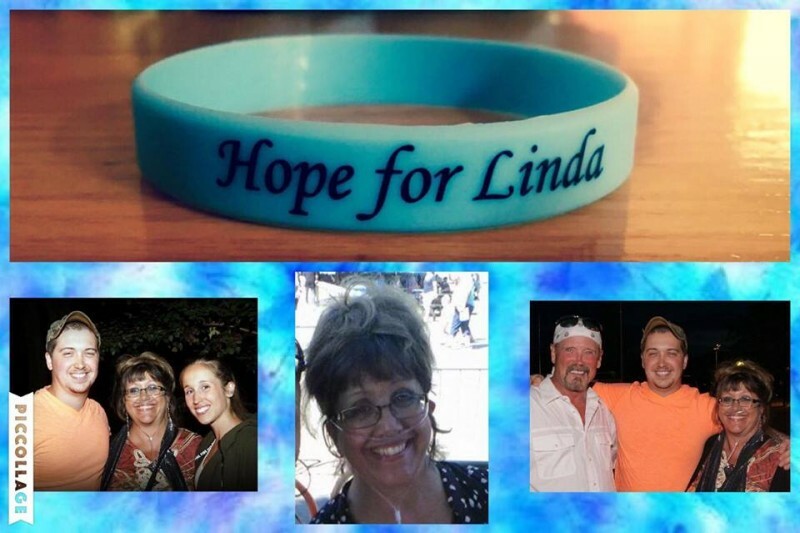 We recently found out that Linda has idiopathic pulmonary fibrosis, which is an interstitial lung disease that results in scarring of the lung, and affects her ability to breathe. Although her health hasn't been the greatest the past few years, the past few months have been rough, and her health continues to decline. We decided to start raising money by selling these bracelets. We hope to raise awareness about this disease, and offset some of the medical burden. The money we raise will go towards all of the medical expenses that have been endured thus far and everything to come. These bracelets are just the start, we are also planning a benefit sometime around March, but do not have an exact date yet. Every little bit is appreciated! If you would like a bracelet please let us know and we will get one to you, they are $2! Anonymous....Thank you for the 20.00 donation....your kindness and support is appreciated more than you know! To my beautiful daughter...thanks so much for your donation and all of your love and support...I love you! Hey Mike- its been a long time since your help watching over our babies while we were in Texas..time flies by too fast...we are eternally grateful for your help! Thank you sooo much for your donation..!..I cannot begin to express my gratitude to you and all who have donated to me... it will be put to good use! Thank you again and I hope you can make it to the benefit in March!!! Thank you to my Aunt Irene and cousin Karen- thank you soooo much for your donations.. treatment options would be very limited without the support from wonderful people.... thank you from my heart. Bracelets will be on their way! Dear Kaleb- thanks so much for your generous donation to my benefit fund... I really appreciate your help - it has been overwhelming but the support I have been getting is heart warming.. I Again - thank you -truly! Thank you ,,Mary Sollars for your generous donation- you know I will put it to good use...! It was great seeing you again and catching up and for lunch! Hope to see you again soon! Your bracelet is on its way! I sat here with tears in my eyes seeing the donations of many including those directly given to go into the benefit account set up on my behalf.. I have not looked at this page for quite some time because of my illness / illnesses... I want you all to know now..until I have the strength to thank all individually ..how much these donations mean to me and my family.. I will be posting an update soon..Kate and I are working on it...but throughout all the struggles, having so many care is amazing...To each and everyone of you who have donated either money or time or prayers ...cards , gifts etc..I want you all to know that no matter what happens, how much you all mean to me...some ppl who donated I have only recently met and some are dear friends present and past..Although I'd rather not be sick and fighting for time,,you all have touched my heart and have shown me through all of this that the human spirit is alive and well: especially, when, with all the technology today we can become so disconnected ..... I cannot thank you enough.. and I will NEVER forget... .Merry Christmas and best wishes to all for a Happy and Healthy New Year! I want to thank everyone for the love and support that has been shown to me and my family through this difficult time....it's been a rough road but I am alive ! Soon we will post an update to help others know the signs and hopefully avoid my journey. A special thank you to Wendy for an amazing photo shoot of my precious pets to cheer me ... The cards the gifts and donations are so much appreciated... I know how hard it is for some who have donated and it overwhelms me .... the generosity of all who have has touched my heart. Thank you to all who have helped Kate out with the task of caring for my precious pets so that Bill could be with me and not worry about them. To my daughter who stayed behind to help and coordinate and decorate and make food. To Megan my daughter in law who helped being a social worker with many tasks and is still.. to my son for coming to see me and bring me pictures etc of my Grandson and gifts ...to Jen , Heather, Bubba Keith ...for coming to see me and for driving my husband and daughter down ......having Jen drive them was such a blessing during the darkest hours. So many ppl to thank.. I'll save some for my next post !..to make sure I don't leave anyone out! Like those who brought food and cookies and gifts and donations.....-and of course....Thank you for all your prayers because there is no doubt that God defined the outcome along with a great doctors and staff ....Columbia Presbyterian was exactly where I needed to be. With their knowledge and God's Grace I am here to be so thankful to be able to celebrate the birth of Jesus ....I have an amazing family and friends who I am so grateful to have more time with. I can't write much more ...cause I am tired ....but I can't close this post without thanking my amazing husband for all the sleepless nights, being by my side and learning the huge task of caring for me ... who assures me I am worth all the trouble ...thank you is not enough ...you know how I feel.. 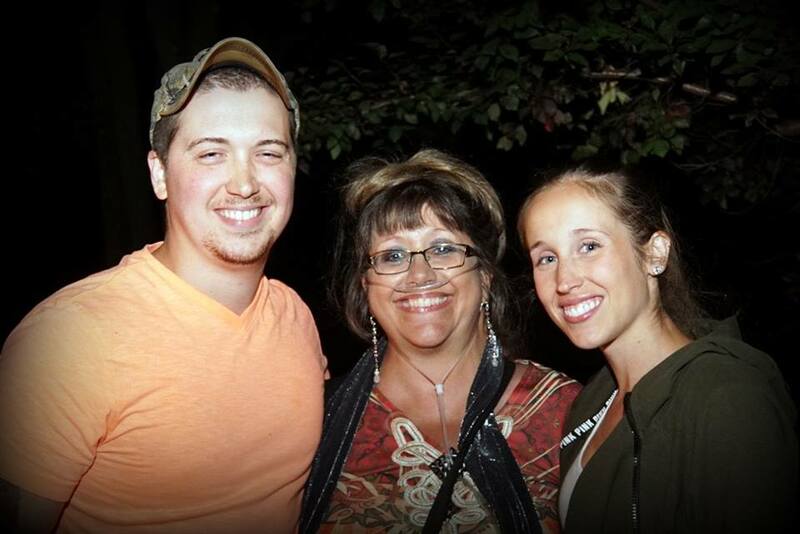 I am blessed with a family I love and friends that I love .. and I am so happy to be alive. Please to all - have a blessed and Merry Christmas and best wishes for a healthy and Happy New Year! Thank you Chris for your generous donation! I am sorry this is a belated thank you..I haven't been feeling well lately..but I so appreciate your kindness more than you can know ! Best of luck from the men and women of the Camillus Police Department.